Google has just been slapped with its first major General Data Protection Regulation (GDPR) penalty for violating Europe’s strict new data privacy laws. After a thorough examination, the authorities discovered several violations in Google’s policies and procedures when it comes to data collection. This happened very recently, and the news is it will cost the U.S. company $57-million to settle. Thanks to the lifetime documentary of Surviving R. Kelly, who recently and disturbingly portrays his private life, that eventually led to a major uproar, Spotify has decided to answer the user’s call to ban R. Kelly’s music from radio stations, TV shows, movies, music-streaming apps, etc. The music-streaming app, however, might not totally ban R. Kelly, but instead will work on a new tool which gives users the power to ban artists and stop their music from appearing throughout the Spotify app. If the artist only appeared as a guest singer on a track, you can’t block the song. It is still unclear whether the blocking capabilities will be available for all or for premium users only. There is also a possibility that if the blocking feature will be available for free users, it will have a limit or can’t block some major artists. The blocking tool is reportedly already under the testing phase and expected to launch globally soon. Fake news is abundantly widespread this past two years. WhatsApp understands that these fake reports can only spread via social media and messaging apps, so it’s addressing the issue first hand this year. According to a fresh press release sent by the developers themselves, users can now only forward messages to a maximum of five contacts or groups at once. It’s not the ultimate solution to stop the spreading of lies, but it does slow down the process, theoretically. The feature first went live in India after people were killed by mobs simply due to prank WhatsApp messages. WhatsApp is, of course, still looking for other ways to address viral content. The Facebook-owned app already implemented several other measures in order to contain the blowout of hoax messages. This includes more prominent labels for forwarded messages and the option to only let administrators post messages in a group. This causes disappointment to WhatsApp users who are used to the app’s limitless messaging capabilities. Sadly, it’s a small sacrifice to make, and for the users’ own good, especially if the fake news can lead to people dying. The said app update will be available soon globally. It’s all right to have limitations when it’s for the greater good. 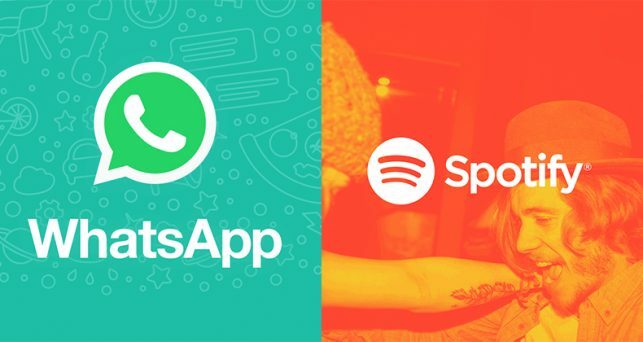 Spotify and WhatsApp are simply practicing their social responsibility. So, if the Spotify blocking tool turns live, which artist will you block first? Will you help WhatsApp prevent the spread of fake news?